Simple Meals for a New School Year! It’s almost “Back to School” time and I can’t decide how I feel about it. Mostly I’ve just decided that here it is, ready or not. At least there are books involved, right? Lots and lots of delicious books! but I WILL make them pose in the school supply aisle for me again this year. But speaking of delicious, it occurred to me that just like every other year at this time, I am doing everything I can to get ahead in the kitchen so I’m ready for a school schedule and soccer season schedule. Must. Be. Organized!!! Download a FREE SAMPLE Simple Meals Planning Packet. As a special Back-to-School bonus, for one week only we’re going to give you $10 off your first year’s subscription. This makes the cost of every Simple Meals plan a tiny little $0.81 each! Incredible! Ready to get $10 off your first year’s Simple Meals subscription? Save time, save energy, save money. 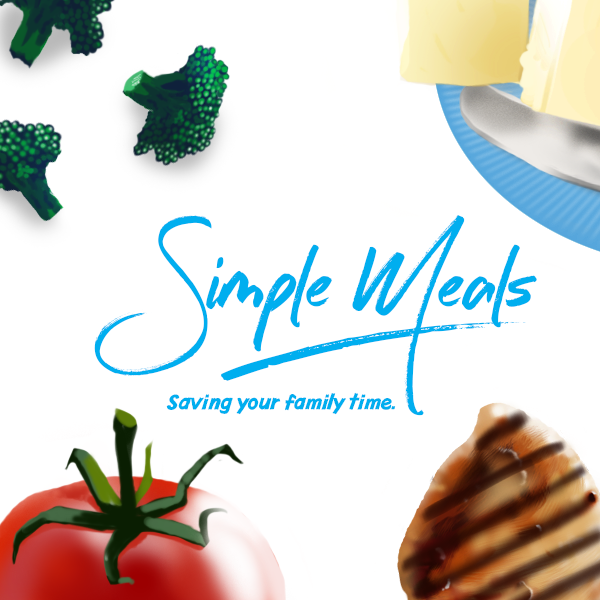 Put wonderful, simple meals on the table in the most efficient way possible, thanks to our Simple Meals Planning Packets. They’ll come to your inbox each Thursday morning. You’ll LOVE all they offer each week, from menus to recipes to time saving tips and more. Hurry to take advantage of this discount offer! Sign up below – While this shows up at the regular $52 price-tag, once you click to purchase you’ll see that the price you pay for your first year’s subscription is only $42! Enjoy the great discount and the wonderful meal plans this year!! Offer ends Wednesday, August 8.